Up and down the East Coast, there is an important common thread shared among all of the best wineries — a full-time head winemaker. I’m not suggesting that any winery is a one-man or one-woman show. Most have assistants that are vital to the operation as well.Some even have consulting winemakers who visit a few times a year to offer advice and give feedback, but that full-time, always-at-the-winery person is key. It’s table stakes. And yet New Jersey’s Unionville Vineyards — undoubtedly one of the top wineries in the east — doesn’t have a head winemaker. 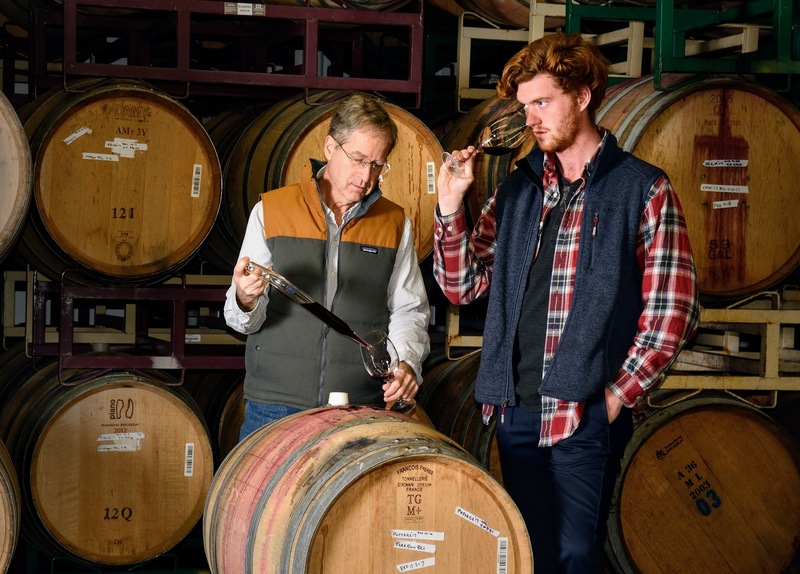 Instead, it employs our first ever co-tastemakers — associate winemakers Stephen “Zeke” Johnsen and Conor Quilty — who share the winemaking duties. Winemaking by committee doesn’t always work, but it does for Unionville. They are true tastemakers — learn how their diverse backgrounds and experience are leading to some of the best wines from New Jersey. Zeke Johnsen: Actually, I was working three jobs, one at Canon Corporation (full-time), Unionville Vineyards (part-time), and Starbucks (part-time). I live in Jersey. You need a lot of cash to pay the taxes here. Conor Quilty: I’m happy to say that my entire professional career has been in wine, and it hasn’t broken me (yet). Right before Unionville, I was working production in South Australia under some brilliant winemakers in the McLaren Vale, and before that, I was coming off two seasons in California working for Stonestreet and Jackson Family Wines in a few different viticulture and production roles. Going back even further, I was studying Botany with a personal focus in viticulture at Connecticut College. ZJ: I was already an avid wine enthusiast and collector and then became a part-timer at Unionville in 1998. In 2004 Cameron Stark became our head winemaker at the time and in 2006 asked if I would consider becoming his assistant. Seeing this as a fortuitous opportunity for me to work and be schooled by a U.C. Davis- and Napa-trained winemaker I joined with him making the wine starting in 2007. CQ: I was coming back from Australia with a deep desire to pursue my dream of making wine on the East Coast. My whole family is from the Northeast and I grew up in the Mid-Atlantic — I love cooler-climate wine, appreciate the challenge of working in an up-and-coming market, and truly believe that a wine renaissance is in the works here. I was looking around the urban wineries in New York, well-established farms in the Hudson River Valley, and some factory-style production facilities but things either weren’t moving forward or didn’t really seem like the right fit. I was on the brink of going back out West. Then, in early summer, I went to visit a mentor of mine, Cameron Stark, the previous winemaker of Unionville — who I had worked for briefly while I was in college — for some advice on what to do. He told me that he was cutting back his role at Unionville and that there would be a position opening up here. Unionville had been poised for greatness for a long time, and already stood out to me as one of the best wineries I had experienced on the East Coast, so I jumped at the opportunity. I started coming in and helping Zeke with some general cellar work and different organizational projects, while slowly ironing out a full-time gig. I was offered a full-time position in July of 2016, launched into my first East Coast harvest a few weeks later, and haven’t looked back since. ZJ: It may not have been literally my first bottle but to be honest the most memorable first bottle of wine in which I experienced the epiphany moment of “wow, so that’s what a really great wine is like” was in 1993 with a 1981 Château Cheval Blanc at the Hamilton’s Grill Room in Lambertville, NJ with my friends Bruce Wyder and Erik Rhoda. CQ: The first bottle of wine I remember drinking is a little tough. I came from a very culinary-focused family, so I established my appreciation for wine fairly early, drinking with my parents at dinner and learning about the nuances of wine. I do remember some of my early greats — wines that got me interested in the science and art of production. Drinking 2000 Antinori Solaia or 2005 Quintessa with my father stand out. It’s funny to think about because an entirely different style of wine drives my inspiration and palette now, but those texture-driven, big, layered wines certainly do leave an impression. ZJ: Endeavoring for balance in the structure of the wine — mouthfeel, aromatics, flavors and finish. Allowing the grapes to accurately express who they are and where they’re grown. CQ: Vineyard-focused, minimalist, acid-driven, and balanced are all things I would like to say are a part of my style and my philosophy on wine, but I think the best way to describe it currently is collaborative, dynamic, and a work-in-progress. One of the great things about being a young winemaker is that it’s easier for me to say that my winemaking style is ebbing and flowing vintage to vintage and as I work with different varieties, changing climates, and new vineyard sites. Collaboration is a huge part of my work right now. Whether it’s working with and learning from other winegrowers in the area, or blending and finishing wine with Zeke, or even hammering out ideas of the future of Unionville with John (Cifelli, Unionvile’s GM), the most exciting part of this work is learning and experiencing something new every day, all while solidifying my personal style. ZJ: Cam Stark has been my mentor since he came to Unionville in 2004. I began working with him as his assistant since 2007, he really helped me to reorient my approach to wine to appreciate the concepts of balance, structure, especially the proper use of oak integration and acidity. CQ: Earlier in my life, my educators stand out. My high school botany teacher, Randy Cassell, for pushing me in the right direction, as well as my college professors, all true personifications of that cliché about loving what you do and never working a day in your life. For wine, Cameron Stark, Charlie Seppelt, Melissa Beck, Kristina Werner, and really all the winemakers and viticulturists I’ve worked with around the world who helped me get started and continue to offer me advice and support. In general, my uncle who keeps me grounded, gives me worldly advice, and reminds me to never stop pursuing my goals and dreams. And above all else, my mom and dad, who not only love and support me through all my endeavors, but also bestowed upon me the wonders and importance of food and wine and travel and general lust for life. ZJ: It varies, in the morning when things are winding up, Enya or Grieg. During bottling and other vigorous activity, Black Crowes or Rolling Stones and finishing up the day with Neil Young. CQ: I’m on a big Joni Mitchell kick lately — her later stuff, which is a little more elegant and jazz-influenced, warms me and the wines up on these colder days. On the other end of the spectrum, Turnover, Pinegrove and Frank Ocean can often be heard blasting from our barrel building (where my office is). 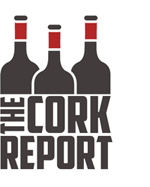 ZJ: There’s a lot of experimentation and discovery here because the modern Jersey wine industry is so young. When your wine comes out the way that you envision it there’s a lot of satisfaction. Also the camaraderie with the other winemakers and owners. It’s like family. CQ: Passion, support, and camaraderie. The fact that I could at any moment reach out to five or 10 people in the industry with a question or advice or even just to chat about the weather is an awesome feeling, and it takes some pressure off making wine in a region that can throw a lot of variables in your face. Winemakers and winery owners from the area getting together always reminds me that we can be honest and not take anything too seriously, all while exhibiting a true enthusiasm for the excellence this region is revealing. While New Jersey wine has been around for a long time, this push for premier wines of national regard here is gaining a footing. I just feel lucky to be a part of it. ZJ: That we were more well known to the general public. I still meet people who tell me that they’re surprised that there are wineries in New Jersey. CQ: I wish there was a little more focus on getting land under vine. To grow as a respected winemaking region, we must establish ourselves as a respected grape-growing region. The ease of importing grapes dissuades a lot of wineries in the area from going through the trouble of using their own fruit and consistently perpetuates the myth that world-class wine cannot be grown and made in New Jersey. Luckily, there are a solid group of wineries that are leading the charge, but we still have a lot of work to do. ZJ: In the summer time, a Provence Rosé. Winter time, a Bordeaux red. CQ: I dove head-first into the sour-beer/Gose movement, so I have a couple of those, like Westbrook Brewing’s Gose and Anderson Valley’s Blood Orange Gose, on rotation. I’m also having a bit of a Chardonnay moment, so I’ve been drinking a lot of Chablis and Village white Burgundy, as well. I could probably just say something slightly chilled and highly acidic and it would cover every Thursday night. ZJ: It’s either the #1 Italian Hoagie with bacon and extra onions from Hoagie Haven in Princeton with a crisp dry Picpoul Blanc or a sous-vide NY strip steak from Matts Red Rooster in Flemington with a big Cabernet or Bordeaux red blend. CQ: Rhode Island oysters on the half shell — Ninigrets or Moonstones (the brinier the better) — with Petit Chablis, followed by sous-vide Duck Breast a l’Orange with a bright and complex red like High Sands Grenache from my Aussie alma mater, La Follette Pinot Noir or a stand-out Austrian Zweigelt. Topped off with a few fingers of 18 Year Laphroaig, I think I’d be satisfied.